A Polish American is a citizen of the United States with ancestors from Poland. There have been Polish people living in North America since the earlier 1600s. 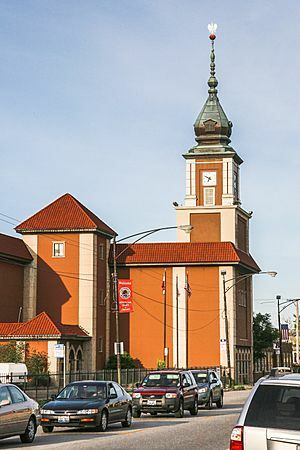 Many live in the city of Chicago, which has more Polish people than any city in the world other than Warsaw, Poland. Most Polish immigrants are Catholic or practice Judaism. Polish American Facts for Kids. Kiddle Encyclopedia.